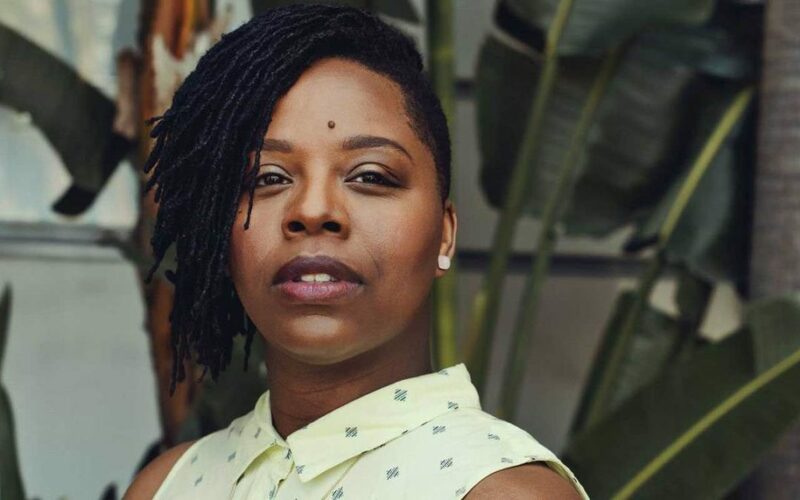 As co-founder of Black Lives Matter, Patrisse Cullors is a modern-day revolutionary igniting change and turning messages into movements about law enforcement accountability and race in America. But beyond activist and co-founder of BLM, she’s a Fulbright Scholar, performance artist, an author of When they Call You A Terrorist, an instant New York Times Best Seller. Four years after the start of the movement, we caught up with Cullors to clear up BLM misconceptions and plans to expand. Let’s take it back to when you and your cofounders (Opal Tometi and Alicia Garza) first started the Black Lives Matter Movement, what were your intentions? The intention for Black Lives Matter had everything to do with wanting to challenge the idea that black people couldn’t fight for themselves and couldn’t be at the forefront for challenging anti-black racism. The beginning of BLM was really about developing a new set of skills and new leaders to challenge white supremacy and the way that it shapes everything that we do. Over the years, what have you been most surprised to learn about yourself as well as the movement? I’ve been most surprised to learn how vulnerable we are to right-wing attack and that our movement would be labeled a terrorist organization. I was most surprised that I would be labeled a terrorist and the people I loved would be labeled terrorist. What have been the points of your journey that you’ve felt that BLM was most successful? I think we’ve been successful at shifting culture and building out narratives that center black people at the margins. BLM is innovative and constantly challenging the ways we collectively understand blackness. There has been a deeper commitment to learning about issues that the black community faces and a realization from a lot of people that if we fight for black lives then ultimately, when black people get free, we all get free. What are two common misconceptions people have about the BLM movement? Misconception No. 1 is that BLM is just the name of a movement and that movement only exists in America. BLM is also a global organization with over 40 chapters in the U.S., Canada, and the U.K. Our network understands that anti-black racism is global and the work of undoing white supremacy should be happening around the world. Misconception No. 2 is that it BLM is leaderless. We believe BLM is leaderful and all movements have many leaders, our movement doesn’t believe in a single charismatic leader. What events, initiatives, and plans do you have for BLM in 2018? What types of conversations should we be having more of? We should be having conversations on what it looks like to build the black economy and what it looks like to develop black communities from the ground up. We’re in a long-haul fight given this administration and its consistent fight against us; white supremacy isn’t just here in the United States, it is a global phenomenon and we must challenge it as such. In 2018, our chapters will continue to do the work that they do on the ground—fighting the local government, calling for new laws, and fighting against police brutality. As a global network, our work for the next year is building our own infrastructure. We’ve spent the last four years resisting and fighting back in reaction to black deaths and this next year is taking a deeper dive into what the next decade of this fight looks like.